Quick Info: Tree is 2+ year old. Healthy plant grown/shipped in deep-tree pot for taproot protection. Zebra Swallowtail host plant, deciduous. Buy 3-9 Pawpaw trees for a 10% discount and 10 or more trees for a 15% discount applied at checkout! Note: Pawpaw Trees have a long taproot. Because of this we grow ours in deep pots and ship in the pots to protect the roots. 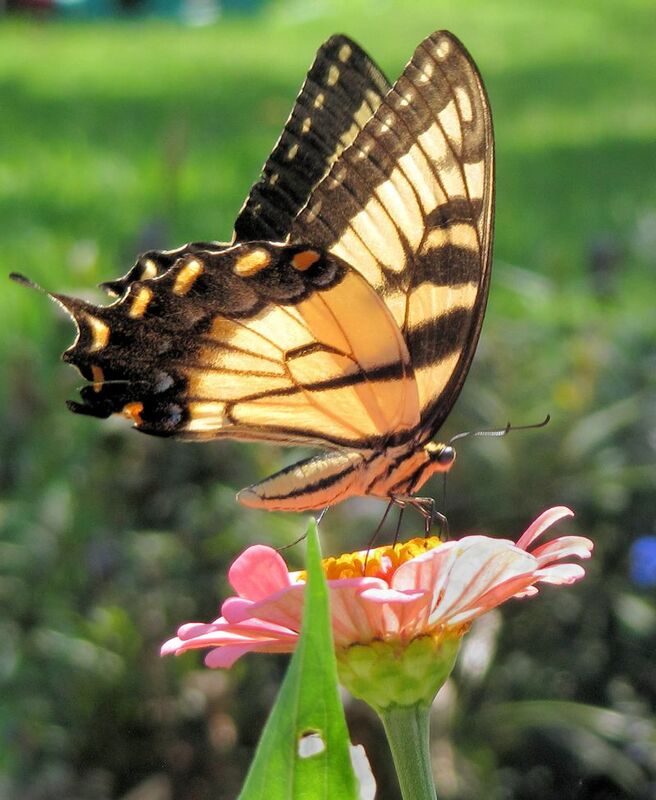 Plant Pawpaw Trees for Zebra Swallowtail Butterflies! 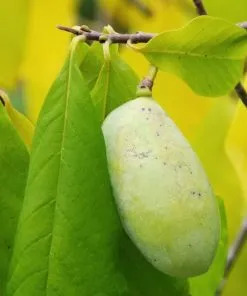 Pawpaw Tree (Asimina Triloba) is a butterfly host plant also known as Indiana Banana, American Custard Apple, Banango, Poor Man’s Banana, or Hoosier Banana. 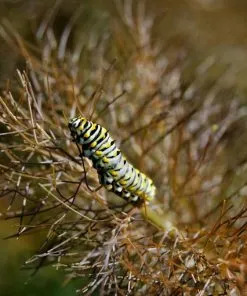 It is the only plant on which the larvae of the Zebra Swallowtail Butterflies will feed. 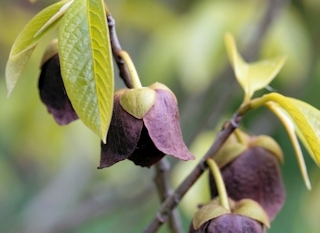 Asimina Triloba is native to the temperate woodlands of the eastern USA. 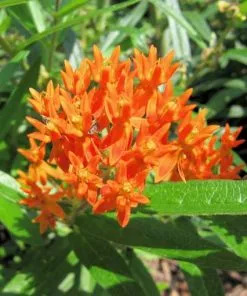 The American Indians are credited with spreading it across the eastern U.S. to eastern Kansas and Texas, and from the Great Lakes almost to the Gulf. 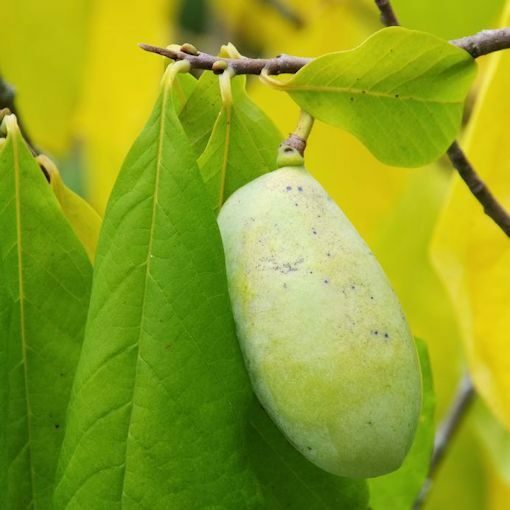 It is indigenous to the U.S. Pawpaw trees have been grown successfully in parts of California and the Pacific Northwest. Pawpaw tree is hardy in USDA zone 4-8. It is a deciduous, often narrowly conical, slow growing tree (especially when it is in the younger stage). At maturity, it will reach 12-20 ft. tall. The flowers which are produced from about March to May are about 2 inches across, maroon, and grow “upside-down”. Each flower is capable of producing several fruits but pollination can be difficult. 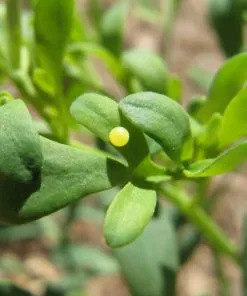 Assisting with pollination will help with fruit production. 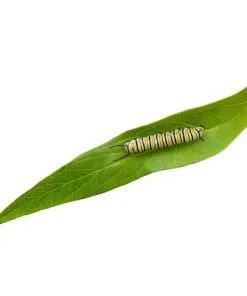 Two trees are required for pollination (ours are grown from seed so they will cross-pollinate), however, the fruits are not utilized by the Zebra Swallowtail caterpillars/butterflies so you will only need multiple specimens if you would like to produce fruit and seed. Our Asimina triloba is not grafted. 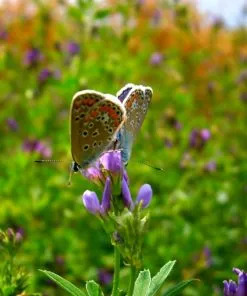 We sell the native species primarily for the butterflies. 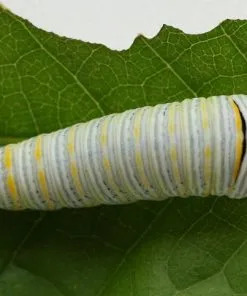 The leaves of the pawpaw tree contain highly toxic acetogenins, which repels most varmints except a leaf roller caterpillar and the Zebra Swallowtail caterpillar. These are benefiting from this toxicity by becoming inedible to their potential predators. 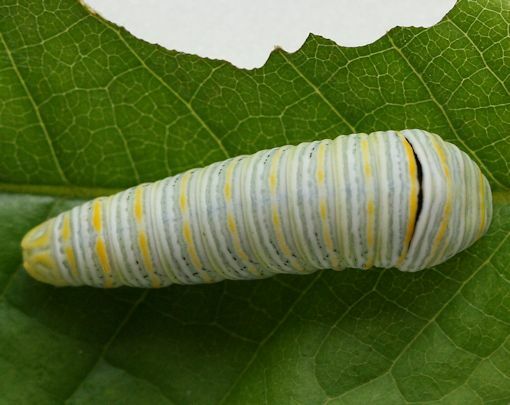 The Zebra Swallowtail caterpillars (pictured above in product pictures) feed exclusively on young pawpaw foliage, mostly at night. 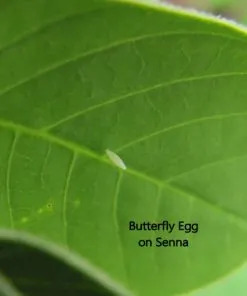 They lay individual light green eggs usually on the underside of the leaves. 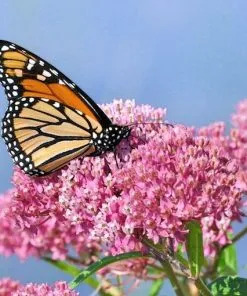 The adult butterflies will put on their beautiful shows in mid-spring and again in July. 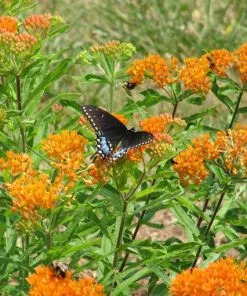 They use the nectar of plants such as milkweed, zinnia, lantana, tithonia, dogbane, redbud, and blackberry. 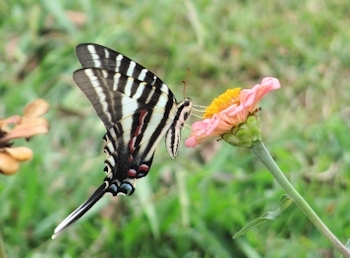 As a result of the pawpaw trees being its only food source, the Zebra Swallowtail butterfly range is nearly the same as the native range of Asimina Triloba. 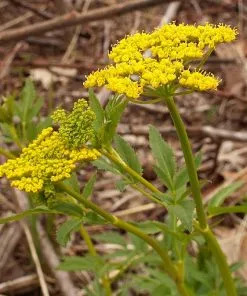 The very young specimens may benefit from some shade for the first year or two. It is ideal for them to receive full day of filtered sunlight during this period. Afterwards, they prefer full sun. Pawpaws prefer moist, fertile, and slightly acidic soil. 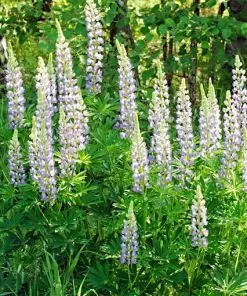 They do not tolerate heavy, wet, alkaline soil. Pawpaw seeds should never be allowed to dry out after collecting. 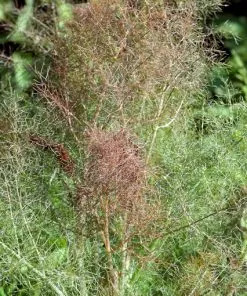 The seed must be cold stratified (in a closed up zip-lock bag containing a small amount of damp sphagnum moss) for 90-120 days at 32-40°F. When started in a greenhouse, germination should occur in about 7 weeks. 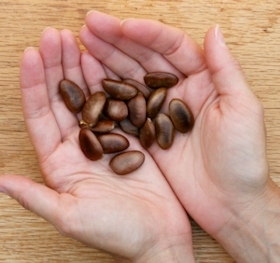 If the seeds are field planted during autumn, they will come up mid-late summer the following year. 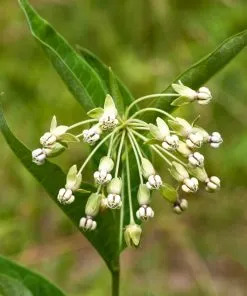 Asimina Triloba may be propagated from softwood cuttings if extra steps are taken (such as providing irregular misting, bottom heat of about 80°F and 14hrs. of light per day). Asimina Triloba is fairly small, with a tropical look to it. 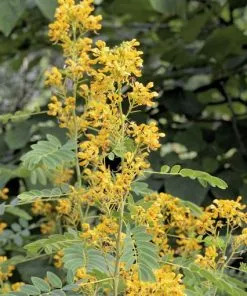 Its foliage can be very attractive during autumn when it turns a brilliant yellow. 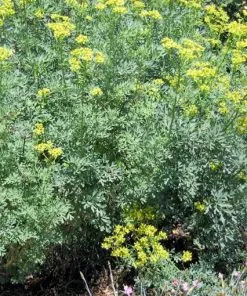 Once established, it is a low maintenance tree, resistant to disease and critters (unappetizing to deer, rabbits, goats, etc., though foxes, opossums, squirrels, and raccoons will eat the fruits). 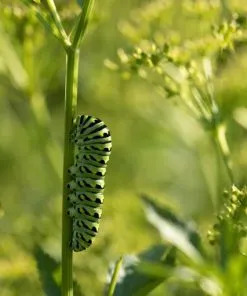 The Zebra Swallowtail caterpillars and butterflies are interesting and beautiful and this tree is the only invitation to bring them in your garden!